You are building a presentation from scratch. The first step in doing that is to decide on the objective of your presentation (read about it here How to start working on a presentation?). The next step is audience analysis. Unless you have followed both these steps, do not start building your content. How to analyse your audience? Why are they coming? What is their objective? What do they already know about my topic? What is their designation (if pitching to a company/organisation)? Have you met them before? Do you know their likes/dislikes? What are they most likely to ask me? Here are a few examples where analysing the audience helps deliver a much better presentation. You cannot deliver the same presentation to your CEO and your peers, can you? Your CEO will give you 10 minutes whereas you can speak to your peers for an hour. Imaging you are pitching to the CTO of a tech company (client). Now imagine, pitching to a junior manager in the same company. The content, the duration, the approach will be completely different. You are a cloud ERP software company and you are pitching to the CTO of your client. You can comfortably use a lot of jargon and industry terms because both of you understand that. Now switch to the investor. During this pitch, you will have to lose all your jargon because you know that (if you have researched his background or know him well) the investor is an MBA with no background in your sector. We focus a lot on what we want from the presentation. We want to make a good impression and make a case for sales or investor funds. But what does the audience expect? We seem to miss this question. I remember attending a sales pitch where the person pitching to me (and my company) was told why we had called him there. We had a specific need. The sales guy did not prepare accordingly and came and delivered his standard sales pitch (it was not customised to our needs at all). Very critical to understand this from your audience or from someone who knows your audience well. The level of knowledge your audience has about the topic will help you speed things up or slow things down. 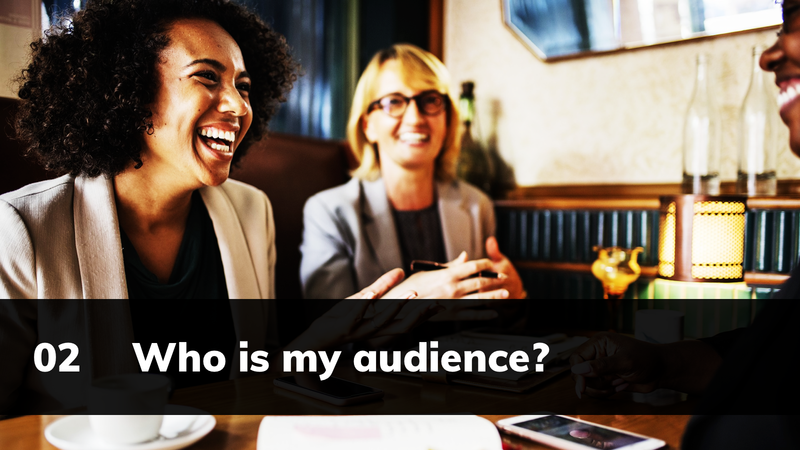 When you start building your presentation, ask yourself these questions and take time to understand your audience. Now tune your presentation to suit your audience. Understand your objective (read more here How to start working on a presentation), understand your audience and then start building your message.